Matt’s parents started practicing Ashtanga Yoga with Sri. K Pattabhi Jois in the early 80’s. 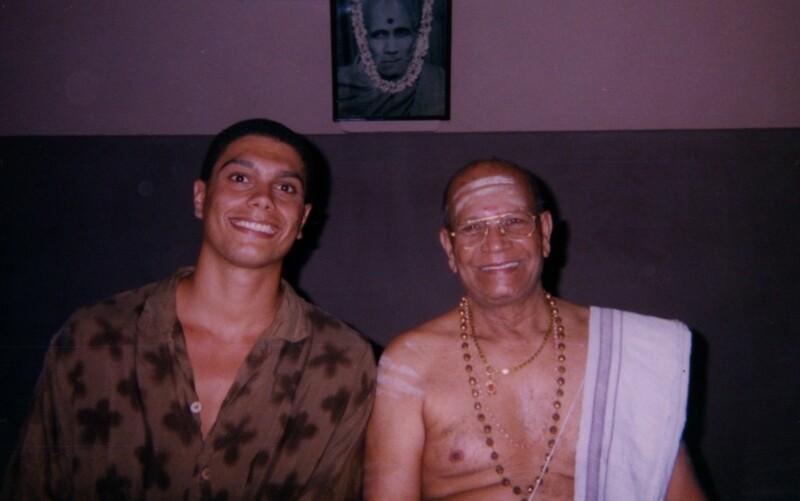 His parents have been a big influence on many of the teachers and students that practice Ashtanga Yoga today. Their devotion and love for yoga had a huge effect in his life. He experienced his first yoga classes at the age of six. Raised a vegetarian and growing up on the Hawaiian Islands with the ocean and nature was a great path into the yoga. Matt hopes to share the yoga in a way to inspire and empower the student to live life with the fullest of potential. His classes are for both beginner and advanced student giving a space to learn and grow at your own pace. Matt has been traveling teaching Ashtanga Yoga internationally for 18 years. He continues to travel today spreading the powerful effects Yoga has on the world. Matt is one of very few Advanced student of Guruji and Sharath and is Blessed to Teach by KPJAYI (Ashtanga Yoga Institute) of Mysore, South India. Choose your starting time above.